Jews can secure eternal salvation without converting to Christianity, senior Catholic theologians say in a report published Thursday, in the latest refinement of their stance on a vexed theological issue. Addressing a question that has long blighted relations between the two faiths, the report also unequivocally states that the Church should not actively seek to convert Jews to Christianity, echoing the stance outlined by former Pope Benedict XVI in a 2011 book. The report, drawn up by the Church's "Commission for religious relations with the Jews," goes further than Benedict however in effectively affirming that Jews can be saved independently of Christ. "Although Jews cannot believe in Jesus Christ as the universal redeemer, they have a part in salvation, because the gifts and the calling of God are irrevocable," the report concludes, according to a summary released to the media. The belief that the only way to salvation is through belief in Christ is a fundamental tenet of every strand of Christianity. But it has also been blamed for creating an evangelical tendency responsible for some of the darkest periods in the history of religion, that are tainted with violent anti-Semitic violence and persecution such as the crusades of the Middle Ages, the Spanish Inquisition, pogroms and more. The latest report reiterates claims that it is only thanks to Christ's death and resurrection that all people have the chance of salvation, but accepts that Jews can benefit from this without believing in him. The authors appear to acknowledge that they are effectively squaring a theological circle. How Jews being saved while not believing in Christ "can be possible remains an unfathomable mystery in the salvific plan of God," they say. The report, which does not constitute a formal change to official Catholic doctrine, was published to mark the 50th anniversary of the close of a landmark Vatican Council that attempted to draw a line under centuries of persecution of Jews based on Catholic teaching. The council, widely known as Vatican II, disowned the concept of collective Jewish responsibility for the crucifixion of Christ, decried anti-Semitism and emphasized the shared heritage of the two faiths. Relations between the two faiths have warmed since then and were helped by a 1998 report from the same commission which called on Catholics to repent for their failure to do more to prevent the Holocaust, while stopping short of blaming the Church as an institution for its silence under the leadership of wartime pope Pius XII. Catholic-Jewish relations are said to have been bolstered by the election of the current pope, Francis, who has a long-standing friendship with Argentinian rabbi Abraham Skorka, with whom he jointly published a book of conversations about issues of ethics, morality and faith. 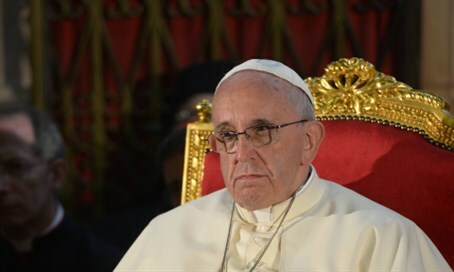 He is due to become the third pope to visit Rome's main synagogue when he meets members of the Italian capital's Jewish community on January 17. The synagogue is located just across the River Tiber from the Vatican, in an area still known as the Ghetto where, under the orders of Francis's predecessors, Jews were confined for more than three centuries until their emancipation at the end of the 19th Century.